China has become the world’s third-largest exporter and third-largest importer, an economic power importing raw materials and scrap from all the world's regions, drawing vast amounts of foreign investment and changing the economic landscape around the world, especially in Asia. By now the world is aware of China's unprecedented prolonged double-digit growth in GDP,exports,manufacturing and other economic sectors. Economists and Central Bankers have taken notice of China's $1.5 trillion dollar reserves, $3 trilliondollar savings and the rapid growth of millionaires and billionaires. Moreover,despite US and European financial market turbulence in mid 2007,China's trade balance for July 2007 was a near record $24.4 billion dollars, its exports grew by 34% despite rising oil imports and reductions in rebates to exporters and interest rate increases. China's GDP is expected to grow at nearly 11% for 2007 (Financial Times July 20,2007),the highest rate of growth in the new millennium. 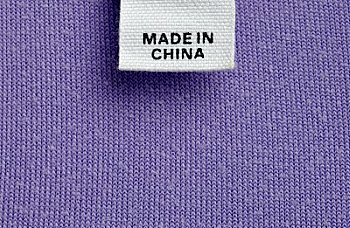 import and export value in China? Guangdong Import Export China Guangdong - Well known as a "capitalist state" of the nation, is the top import and export state in China. By September 2006, the import and export was 162.6 and 213.29 billion US dollars respectively, the total import and export value was 375.89 billion US dollars. The import and export value is the highest among all provinces, and of one third of the nation, according to Guangdong Government Offical Report on October 25, 2006. From the most recently report at The 100th Session of Canton Fair in Guangzhou China in 2006, the export contract confirmation value was 8.85 billion U.S.dollars signed by Guangdong Province, 4.85 billion U.S.dollars signed by Zhejiang Province and 3.36 billion U.S.dollars signed by Jiangsu Provice during October 15th to 31st, 2006 at Canton Fair. The total export confirmation value of three provinces are 17 billion which is 51% of the whole nation of China. Import / Export of Guangdong has ranked No.1 import and export state for over two decades since china began its market reforms. A report from GlobalInsight, the world's leading company for economic and financial analysis and forecasting, saying, In 2005, the Shanghai-Jiangsu mege-province's GDP was $335 billion, making it the sixth largest in Asia and 22nd largest in the world. Guangdong's 2005 GDP was $265 billion and the Beijing-Tianjin-Hebei mage-regional GDP was $251 billion, ranking them the 7th and 8th largest Asian economies, respectively. All three regions are along the coast of Chna or, in the case of Guangdong, bording Hong Kong. It continually say, The undisputed champion in economic openness, however, is Guangdong province. Because of its proximity to Hong Kong, Guangdong has been able to attract vast of export-oriented investment from Hong Kong since the outset of China's market reform. Merchandise trade accounts for about twice Guangdong's annual GDP, with nearly 17% of FDI into China in 2004 going to Guangdong. 50 trading delegations, being composed of thousands of China's best foreign trade corporations(enterprises)with good credibility and sound financial capabilities. 576,000 Square Meters Gross Exhibition Space. China Manufacturers and Global Sources - Another major method to find China manufacturer and China Supplier when choosing Import from China. Global Sources is a 35 years B2B online media company. From there you will discover thousands of top quality products choices and hundreds of suppliers with strong commitments to exporting in every industry-specific Global Sources magazine. China Manufacturers and Global Sources is distinguish with most B2B trade lead company such as www.Made-in-China.com, www.Alibaba.com where everyone can post their items to sell or buy even without any product in hand. If you are seriously considering your own import export business, do not go to low fee or free membership B2B trade leads companies, you'll waste your time. Global Sources / China Sources is expensive for marketing or promoting products. I don't know how much it costs now, way back to early 1990's, my company paid $3,000 fee for 90 days advertising. Those suppliers and exporters selecting pay high fee as they are seriously thinking about their business. Click Here to know how to verify reliable and trustworthy China Suppliers. Let's assume you intend to Import from China and seeking suppliers at Global Sources. At Home Page on your left side column bar, find Search at left hand, click it, you will be in Products / Supplier / Country page, select the categories, then select Suppliers right beside Categories box, and enter keywords “Guangdong or Guangzhou “ in the keyword box at right side of Supplier box. After the above has done, a supplier list all from Guangdong or Guangzhou that show you more detail information of the company’s profiles. This is how you find your China supplier and China manufacturer when Import from China. If you are interested in working abroad, and desired in promoting U.S. business interests around the world, this is the most helpful information for you. The U.S. & Foreign Commercial Service promotes the export of U.S. goods and services and advocates for U.S. business around the world. The U.S. Commercial Service, through its customized business solutions, creates economic prosperity and more and better jobs for all Americans. The U.S. Department of Commerce, headquartered in Washington, D.C., houses agencies that deal with industry, trade, the environment, and economic growth and development. Because we live in a global environment that continues to grow smaller, careers in Commerce are diverse and include fields that affect all sectors of commerce, both traditional and new. The U.S. Department of Commerce recruits students using a variety of programs, including Federal student programs such as the President Management Fellows (PMF) Program, the Student Temporary Employment Program (STEP), and Student Career Experience Program (SCEP). The International Trade Administration (ITA) is now accepting applications for the Student Volunteer Internship Program in Washington D.C. This opportunity will provide valuable hands-on experience for students interested in working on international trade issues. Selected participants will work in one of the five units within ITA.